Back in June, there was a live NYC Posh party at the Delancey Lounge in lower Manhattan. My girl Antoinette (Letterstoa.com) attended this awesome event to see what it was all about. The party was organized by the Poshmark team. If you are not already familiar with what Poshmark is, it’s an app where you can connect with people who’s style you admire and shop their closet. It is also a great way to itemized clothes and accessories in your closet that you don’t wear anymore and list it for sale so other fashionistas can shop your closet as well. When we arrived at the party, it was already a full house! 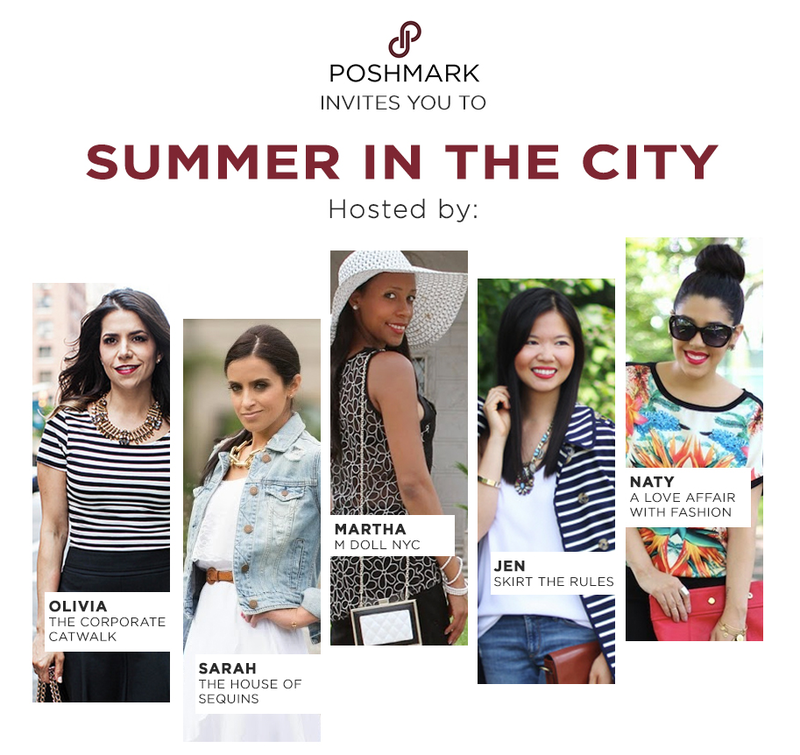 We spotted the CEO of Poshmark and a couple of the fashion bloggers who were hosts of the party. There was a manicure station to get your nails done for free and Hors d’oeuvres to tickle your appetite. The party was hosted by five stylish poshies and bloggers; (Left to right) Martha of M Doll NYC, Sarah of The House of Sequins,Jen of Skirt the Rules, Olivia of The Corporate Catwalk and Naty of A Love Affair with Fashion. As Antoinette and I grabbed our cocktails, we mingled around with other fashion bloggers and poshies. We were greeted by the lovely Martha of M Doll Nyc with her bright, radiant dress and a welcoming smile. As we made a few acquaintances, we enjoyed our time taking pictures with props provided by the Poshmark team to represent what they are all about. It was a great night of networking, bonding and of course, fashion. Have a lovely day!